Share an experience that will last a lifetime with one final night of high school memories at Grad Nite at the Disneyland Resort. This exclusive event for high school seniors takes place on select dates in May and June, transforming Disney California Adventure Park into an end of year party central! Rev your engines and put on your dancing shoes for a dance party right in the center of all the fun on Route 66! With a dance floor fit for every tractor tipper and a DJ that is sure to get the party pumping throughout the land, you’ll be sure to get your kicks on Route 66! 4. 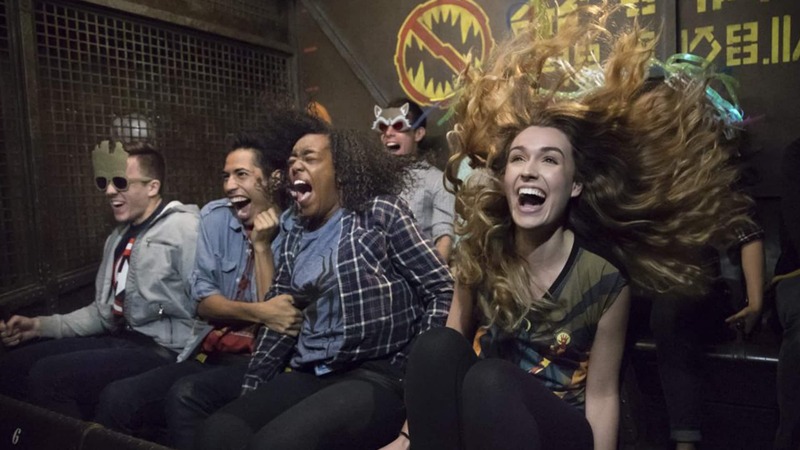 Drop into Guardians of the Galaxy – Mission: BREAKOUT! Join Rocket for a thrilling mission to rescue the Guardians of the Galaxy on a breathtaking, free-fall adventure. From appearances by popular characters to music inspired by Star-Lord’s awesome mixtape, you won’t want to miss this gravity defying attraction. High school may be over but friendship lasts forever at Pixar Fest! 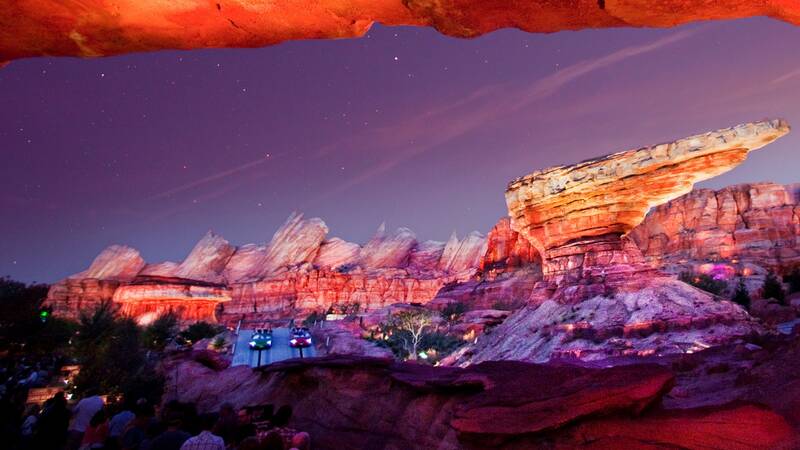 Whether it’s the return of the Paint the Night parade and Pixar Play Parade, or the debut of Together Forever – A Pixar Nighttime Spectacular, you can add-on a full day of Pixar Fest fun with a full day ticket package. Kick the celebration into overdrive on the race of a lifetime through Ornament Valley with Lightning McQueen and of course, Mater. Ka-Chow! 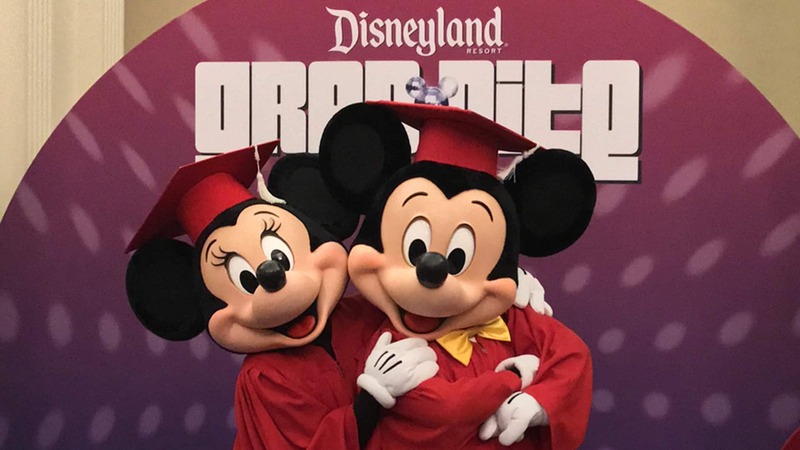 Join the couple of the year for the Insta-worthy photo of the year as Mickey and Minnie wear their graduation best for a photo opportunity exclusive to Grad Nite. Don’t miss a minute of the party with a variety of ticket packages, including a full day at Disney California Adventure Park and Disneyland Park. Get ready to celebrate and congrats grads!